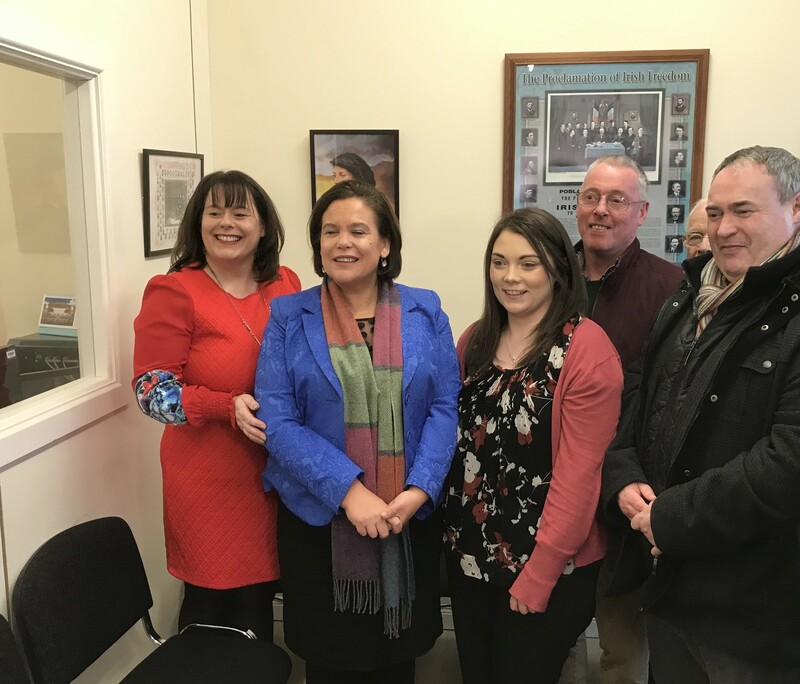 Sinn Féin President Mary Lou McDonald officially opened the new constituency office of Michelle Gildernew MP in Clogher, county Tyrone today. Teach Markievicz is the latest addition to the Sinn Féin constituency services in Fermanagh/South Tyrone, and is the fourth Sinn Féin office to be opened in the constituency. 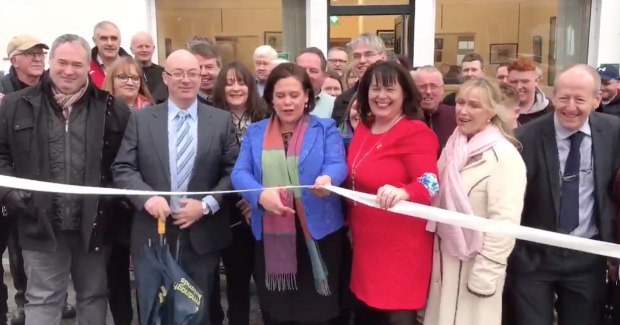 The Sinn Féin leader cut the ribbon to open the new office on Clogher Main Street surrounded by Sinn Féin elected representatives and activists from across the constituency. Michelle Gildernew said the Clogher office will complement the existing office network and help provide first class constituency services to the local community. "It is part of a wide constituency service with Jemma Dolan MLA having an office in Enniskillen, Sean Lynch MLA has an office in Lisnaskea and Colm Gildernew MLA has an office in Dungannon. But we thought the distance between offices was too far and we wanted one here in the Clogher Valley. "It is important that this office has been opened in January, just after we have celebrated the anniversary of An Chead Dáil. Constance Markievicz was a huge inspiration to all of us and this office has been named after her in keeping with how we recognise our republican heroes. "It is because of them we are here and we need to finish the job they set out to do," she said. Mary Lou McDonald said the opening of the office shows the continued growth of Sinn Féin as we approach the realisation of the goal of Irish unity. "I believe we are now in the epoch of the last lap towards full national democracy and independence and there are very good reasons to believe that. "The truth is that since partition, nationalists in the north have struggled for freedom and kept faith and I'm minded that it is just over 50 years since the fateful, history making days in Caledon and the Gildernew family have such a proud history of making history. And we are more than 30 years since Bobby Sands made history by being elected in this constituency. "In Clogher and in other places like it people would not lie down, they would not be cowed and be told that they could not be free. "This office in Clogher is part of that. This is part of the network of freedom, liberty and success. "That is an important message for Dublin to hear, for London to hear, for Europe to hear and for the world to hear," the Sinn Féin President said.